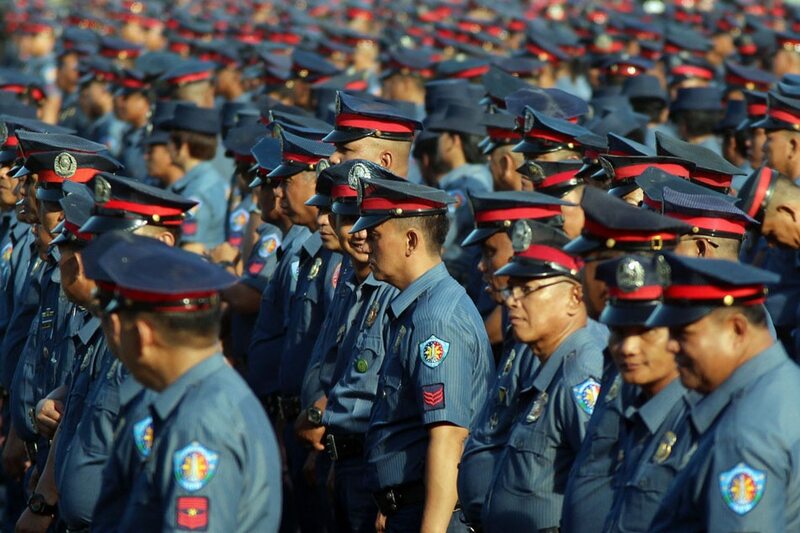 MANILA - Caloocan Bishop Pablo Virgilio David has questioned a recent survey which showed that Caloocan police officers are the most trusted and most respected in Metro Manila. The bishop, who is also the vice president of the influential Catholic Bishops' Conference of the Philippines (CBCP), said the result of the survey was questionable, amid the alleged cases of extrajudicial killings in the city under the government's war against illegal drugs. "Most trusted by whom? By those who gauge the trustworthiness of the police by the number of drug suspects killed during Tokhang operations?" the prelate asked. David cited how National Capital Region Police Office (NCRPO) chief Oscar Albayalde decided to relieve the entire 1,200-strong Caloocan police force following the controversial killings of teens Kian Delos Santos, Carl Angelo Arnaiz and Reynaldo de Guzman last year. READ: Caloocan bishop on city cops' relief: Praise the lord! The survey, conducted from October to November 2017, showed that the Caloocan City police received the highest approval ratings in terms of quality of police response, public trust and respect, lifestyle, moral and ethics, public safety, as well as public support. According to PNP chief Ronald "Bato" dela Rosa, he was not surprised that the Caloocan police topped the 2017 survey since policemen involved in the teen killings have already been sacked just before it was conducted. Nevertheless, despite his criticisms, David said he is hoping that the survey result would serve as inspiration to the new Caloocan police officers in serving their community. "I am still hoping and praying that the new police force will behave differently, confident that there are enough decent ones among them who will perform their duties according to law and are also concerned about protecting the integrity of the whole police institution," the bishop added. David is one of the most vocal in the Philippine Catholic hierarchy in criticizing the government's drug war. The bishop has been insisting that drug dependents should be rehabilitated and not killed under the guise of the campaign against illegal drugs. David also said the PNP should prioritize "death under investigation" (DUI) cases before the revival of "Oplan Tokhang." While he admitted that the drug problem in the country should be prioritized, the prelate insisted that the rule of law must always prevail. "Ang panawagan ko, ang daming dugo na dumanak tapos hindi pa natin iniimbestigahan ang mga deaths under investigation, hindi pa nareresolba tapos ire-relaunch mo na naman yung Tokhang," David said in an interview with Radio Veritas. "Alam ko talagang we would like to put a stop to this drug menace, pero sana naman sumunod tayo sa batas. Let’s do it na naayon sa batas. Let us not waste life. 'Yun ang panawagan namin." Last month, the PNP revived "Oplan Tokhang" under stricter guidelines. The police leadership has vowed to ensure transparency and accountability as operatives return to the streets to enforce the government's drug war.